I had just finished my 4 year enlistment in the USAF and was to return to my former civilian job with Geophysical Service Incorporate. But before doing so I took a little break before returning to the real world of civilian life. That was 41 years ago, this August. 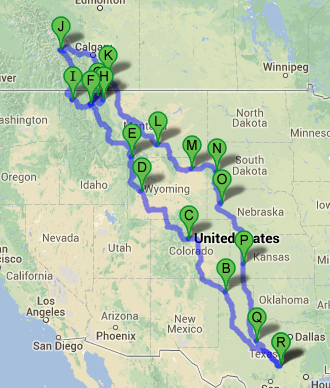 I drove my AMC Gremlin to Montana to visit Avis my pen-pal for the last 4 years. Along the way I visited Grand Teton, Yellowstone, Glacier, Little Bighorn and Mt. Rushmore. I have many fond memories of the places I visited and my pen-pal Avis and her family. The scenery and summer climate is beyond description. With low temperatures in the 50’s and highs in the 80’s and smell of pine trees in the forest, you are transported to a heavenly place. I loved Montana. I have always wanted to get back up that way but life has gotten in the way. We had planned to ride there in 2011 but again life got in the way and we cancelled our plans. 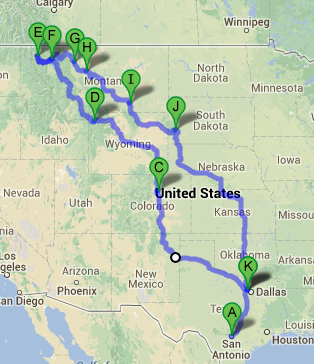 Well… the trip is back on for this July and as the time draws near we are getting excited about hitting the road. Plans are finalized, reservations have been made and we are sitting on go. I know many of you have ridden or driven that part of the country… There is much to see and do… So if you have any suggestions about any part of our trip, please share them here. We would love to hear about your favorite things there. 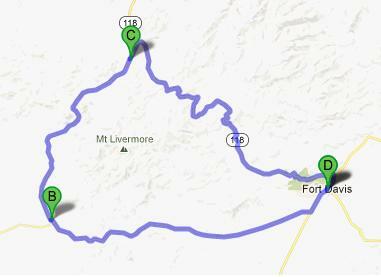 Below is my route map and itinerary. One more thing… I lost contact with Avis many… many… years ago. When I see something about Montana I am drawn back to that trip long ago. When planning this trip, memories of that first trip flooded my mind. I again wondered what had become of Avis. I hoped that life has treated her well. This prompted me to see if I could find her using the internet. After searching and hitting many dead ends I did eventually find an address. We have reconnected and we plan on stopping by to see Avis, Ed her husband and her mom. We have a lot to catch up on. We both have good families with lots of history and many stories to share. Seeing this beautiful part of the country again is the cake but seeing Avis and her family after all these years will be the icing.